Impossible object drawings have been around since the early 1900's. These images produce illusions that cannot be possible on a 3 dimensional plane, only 2 dimensional drawings. The 2 drawings shown above were created by the father and son Penrose team. The father Lionel was a psychiatrist and a mathematician, while the son Roger was a physicist and mathematician. 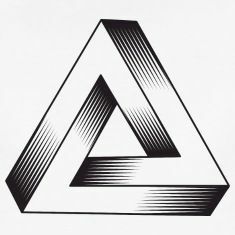 The drawings they drew have later been dubbed the Penrose Triangle and the Penrose Stairs. The triangle appears as a solid object made by 3 straight beams that meet at right angles at the vertices of the triangle they form. 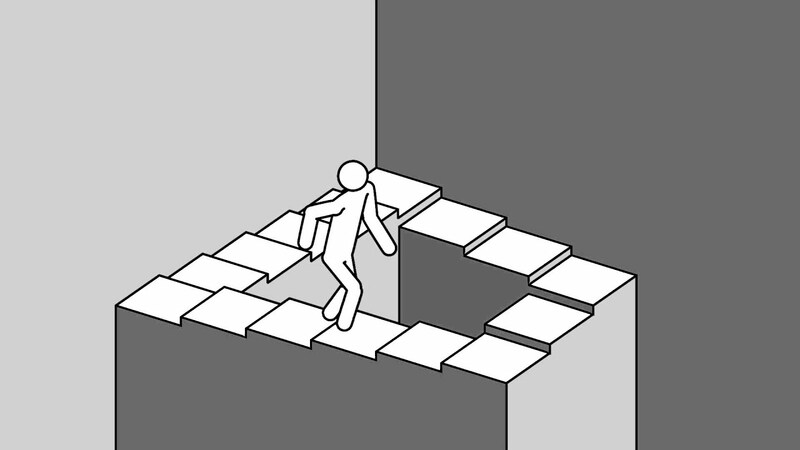 The stairs appear to continually ascend or descend forever in a loop depending on which way you look at it. Both of these drawings were later published in the British Psychological Journal, and have been studied by artists and students alike for decades.